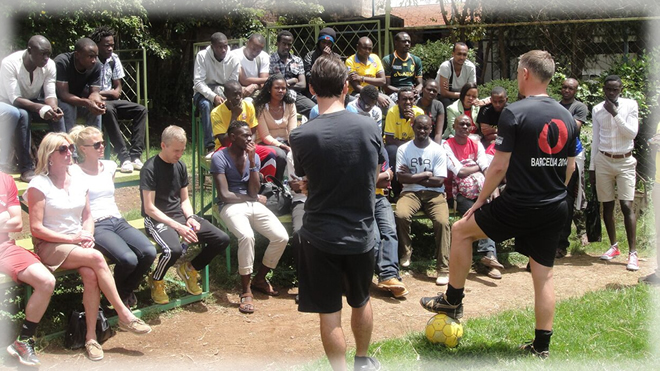 The Kijani Institute of Cross Cultural Communication facilitated a two weeklong stay in Kenya, in November 2013, for the Oure Sports and Performance School – top managers from Denmark. The trip had the aim to evaluate how Kenya and Oure would collaborate and greatly benefit from each other in exchange related activities and cross cultural relations between both countries on an equal basis, equality is one of Kijani’s core dogmas of collaboration. OURE (www.oure.dk) sports and performance school is the largest boarding school in Denmark. Oure International College of Sport & Performance was founded in 1987. It consists of an Efterskole (year 9 and 10) a High School, which is an upper secondary school and a folk high school. Altogether, there are about 950 students and 180 employees in an exceptional, modern and dynamic learning environment. The main sports lines are: Football, handball, performance e.g. dance, music, theatre and Adventure sports. The main aim of this visit from Oure was to Strengthen the collaboration between Kenyan schools and different schools in the Oure Sport academies and find similar and suitable partners for collaboration in Kenya – especially in and around Nairobi, Kenya. This having been a success the programme now has the approach of co learning and global citizenship and is currently collaborating with the Alliance High School, The Raila Educational Centre and Sadili Oval sports Academy. 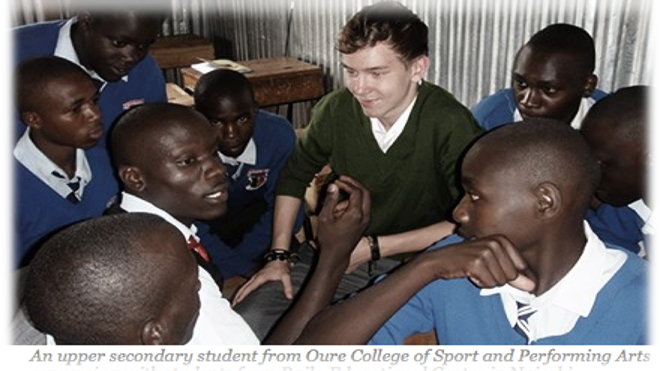 The Kenyan partners join forces with Oure College of Sport and Performing Arts in various co learning activities where the purpose is to develop global citizenship through co-­learning projects. The point of departure for the process is that students and teachers in both Denmark and Kenya take part in co learning processes within different academic themes. The co­-learning process aims to benefit and enhance Danish and Kenyan students’ perceptions and understanding of one another in surprising and insightful new ways. and it has been a great learning expirience for both partners. Currently, Plans are underway for the OURE Folk High School. Apartment for Handball to collaborate with the Kenyan University League in Handball and closely with Kenyatta University and Nairobi University on different handball courses and instructions of Kenyan students and coaches. This will be materializing in October 2016 and May 2017. 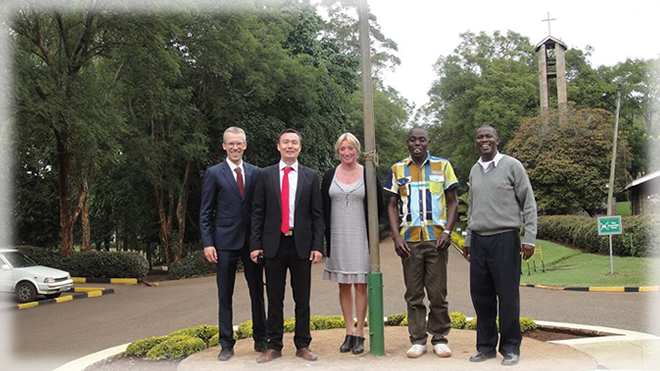 Currently, plans are still underway to develop a running camp where some of the best runners in Denmark will have an opportunity to participate and get to have a two weeks running fellowship in Kenya (Ngong Hills or Eldoret). The former record holder on 800 meter, Wilson Kipketer, will join the camp. Co-learning i s the keyword. 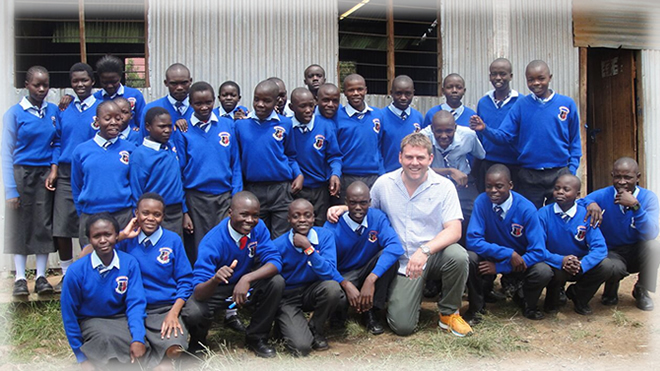 All 9th and 10th form classes at Oure College of Sport and Performing Arts are working on the Kenya Project in week 51. In addition, co learning activities take place on an ongoing basis in the various subjects. 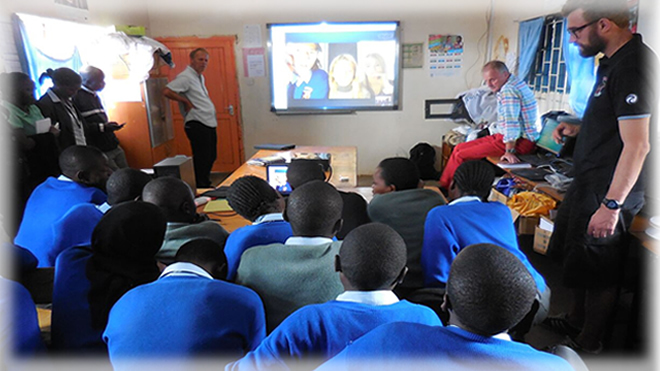 Skype is an important tool that is used for sharing information and projects between the classes at Oure and in Kenya, and it helps to strengthen the collaboration. 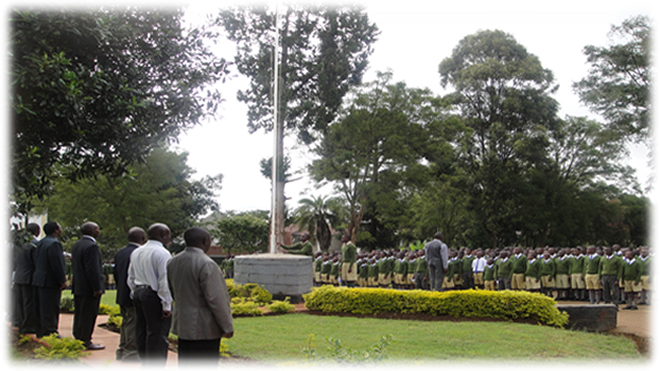 Events, one-­off projects and activities focused on Kenya. Teacher exchanges. 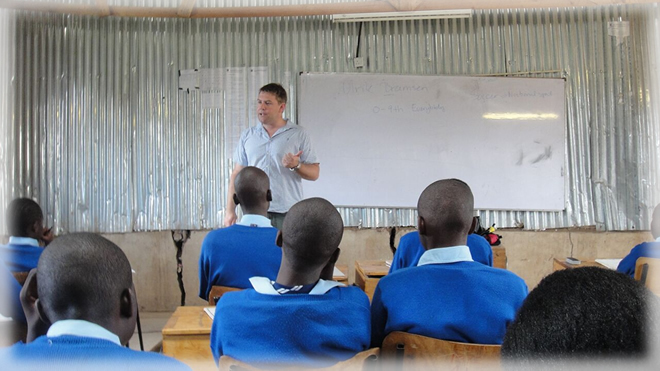 Teachers from Oure College of Sport and Performing Arts travel to Kenya and teachers from the Kenyan partner organisations visit Oure College of Sport and Performing Arts. Student exchanges. 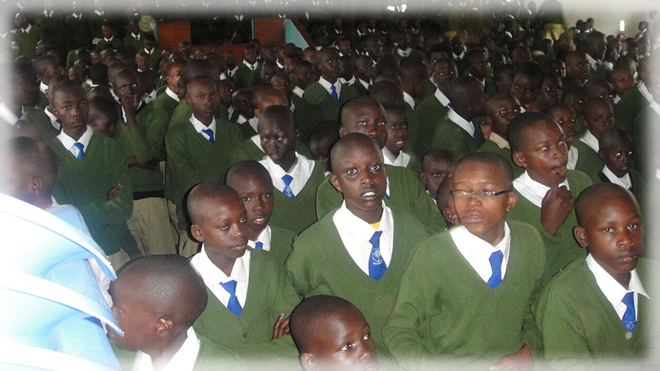 Kenyan high-­school students have attended Oure College of Sport and Performing Arts on several occasions and one large group of upper secondary students hsve previously travelled to Kenya. 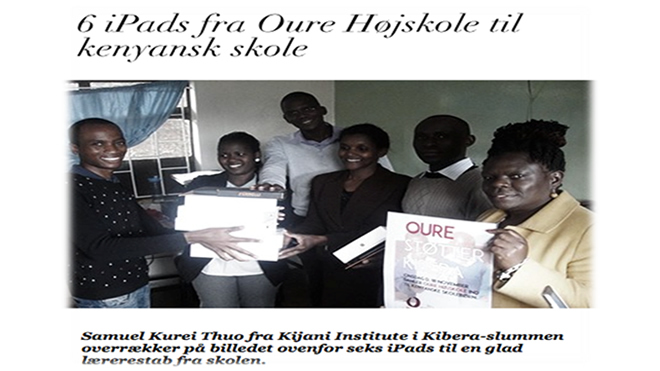 The basic purpose of the Kenya Project is not charitable, but Oure College of Sport and Performing Arts supports the partnership to a lagrer extent through the Academy’s fund­-raising activities which has resulted in the donation of iPads, for instance. 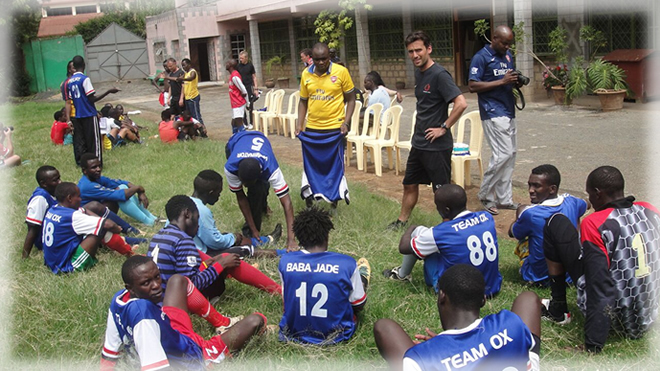 Danida supports the Oure College of Sport and Performing Arts’ Kenya collaboration. Last years Danida-support from the Danish State Department is now evaluated. You can read the short version of the evaluation report here. The Oure Sport and Performing Arts would like to thank Danida for the support. Would you like to know more about the Kenya collaboration?